Coswick 2-layer engineered T&G flooring can be used in all types of residential spaces, and installed above, on, or below ground level. It is very important that you read and understand the information contained in this installation guide before starting, as improper installation can void the warranties. It is the responsibility of the installer and/or the homeowner to inspect boards and all material for proper color, style, finish and quality prior to installation. Prior to installation, make sure that the flooring is the correct material, remove any boards/materials with which you are not satisfied. Coswick Hardwood accepts no responsibility for any costs incurred after planks with visible defects have been installed. Once installed, any plank is considered as having been accepted by both installer and owner, even if the owner was not present at the time of installation. Keep in mind that wood is a natural product, so some color and grain variation is inevitable. Prominence of natural variation depends on the characteristics of the wood species. Coswick does not warrant against natural variations that occur from plank to plank or variations from sample to plank. Use of filler, putty stick or stain in order to correct minor defects during installation should be accepted as normal procedure. It is standard trade practice to allow for up to 5% margin as an allowance for cutting waste and grading variance. 5% cutting allowance must be added to the actual square footage amount. Coswick Hardwood Inc warrants its products, in their original manufactured condition, to be free from defects in milling, drying and grading. Lifetime Structural Warranty means that the product will remain free from milling and grading defects for a lifetime in normal environmental conditions. Coswick Hardwood Inc warrants to the original purchaser that when used under normal residential traffic conditions and maintained following Coswick Floor Maintenance Guide, factory applied CosNanoTech+ surface finish will not wear through or separate from the wood for a full twenty-five-year (25) period from the date of purchase. The International Agency for Research on Cancer has classified wood dust as a nasal carcinogen. The sawing, sanding, and/or machining of wood products can produce wood dust that can cause respiratory, eye and skin irritations. Wear an appropriate dust mask to reduce exposure to airborne wood dust. Avoid contact with eyes and skin. In case of irritation, flush eyes or skin with water for at least 15 minutes. In case of severe irritation, seek immediate medical attention. Attention California Installers and Consumers: WARNING: Installation of this product may create wood dust, which is known to the State of California to cause cancer. In order to avoid damage, hardwood flooring should be one of the last items installed during renovations. Prior to installation, heating and air conditioning systems must be in operation, and room temperature must have been maintained at 18-22C (64-71F) for at least one week. Relative humidity on the job site must be 45-55% at all times. To avoid moisture-related damages, make sure that the subfloor is dry and that the basement is well ventilated. Moisture level of wood subfloor must not exceed 12% and differential between wood planks and subfloor must be less than 4%. Keep sealed boxes in room where flooring will be installed for at least 24 hours before installation. Do not open cartons until ready to install. Due to natural wood properties, flooring from Jatoba (Brazilian Cherry), Cumaru (Brazilian Teak), Santos Mahogany and American Walnut must not be installed over radiant heat systems. Coswick 2-layer T&G engineered flooring should be installed over concrete or wooden subfloor. You can install engineered flooring over concrete subfloor if its compressive strength is at least 20N/mm2. If the strength of concrete is lower, there will be a risk of damage to the subfloor in the areas of glue seams should any tension appear in the floor boards. It is easy to test the strength of concrete using a simple nail. If no crumbling occurs when the surface of concrete is scratched with a nail, the subfloor is strong enough. Moisture content for concrete subfloors registered after a calcium chloride test should not be greater than 3 pounds per 1,000 square feet of area in 24 hours. If it exceeds these limits, do not install the flooring. Before beginning moisture testing, the concrete must be cured for a minimum of 30 days. Concrete subfloor surface must be absolutely flat. Any deviations from the floor level must not exceed 2mm for every 2m of subfloor surface. Minor level fluctuations can be corrected using dispersion primer. 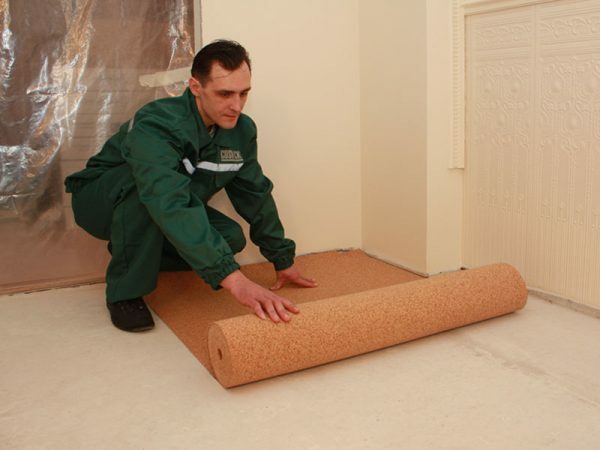 If level fluctuations are significant, it is recommended to level the surface with self-levelling floor compounds. Before starting installation, clean the subfloor surface using a broom or a vacuum cleaner. It is recommended to use plywood or OSB for a subfloor. It is NOT recommended to use particleboard. Staple down installation requires minimum 5/8” plywood or ¾” approved OSB subfloor. Moisture level in wooden subfloor must not exceed 12%. Differential between flooring boards and subfloor must be less than 4%. If moisture level in subfloor is higher, installation has to be postponed until the source of moisture is located and removed. Turn on heaters and ensure proper room ventilation. If the source of moisture is indoors, use an air-dryer or AC. If moisture level of the subfloor is less than 4%, use an air humidifier. To avoid squeaking in your floors, make sure that there is no movement in the subfloor. If needed, use flooring screws to fix movement. Surface of the subfloor must be absolutely flat. If necessary, flatten subfloor using a sander. Before beginning installation, clean your subfloor using a vacuum cleaner and a broom. Note: It is the sole and joint responsibility of owner and installer to conduct pre-installation subfloor moisture checks and ensure that all conditions and specifications listed in this installation guide have been met prior to starting installation. It is the responsibility of the owner/installer to ensure that the conditions of the subfloor and jobsite are structurally acceptable prior to the installation of hardwood flooring. Coswick accepts no responsibility for deficiencies of hardwood flooring that result or are related to subfloor, sub-surface or environmental conditions on the jobsite. Subfloor must be clean, flat, dry and structurally sound. Subfloor must be clean and free of any dirt, curing compounds, sealers, drywall mud, wax, urethane, grease or any other material that may affect the integrity of flooring itself or adhesives used to install it. All subfloors and subfloor systems must be structurally sound and must be installed following their manufacturer’s recommendations. Subfloor must be thoroughly vacuumed and free from any debris, such as cleats, nail heads, dried glue or any other material. Inspect all flooring material for color, finish, milling and grade, removing unacceptable planks. NOTE: Coswick does not accept responsibility over any costs incurred when planks with visible defects have been installed. To achieve a uniform appearance across the entire floor, work from several cartons at a time. Prior to installation, “dry-lay” the flooring, mixing planks from several cartons. Ensure that the color is consistent and remove any planks with visual defects. Open a few boxes of hardwood flooring and arrange boards in the way you plan to install them. Boards with minor flaws can be used for trimming. Select boards, the color and texture of which match transition mouldings and carpet reducers, and put them aside. Using a chalk line, trace a guideline that is parallel to the starting wall. Leave 1/2” (15mm) expansion gap between the guideline and the starting wall. Leave 1/3” expansion gap between the beginning and end of flooring rows and perpendicular walls. The expansion gaps will later be covered by the baseboard. Prior to installing, nail down a holding block alongside starting line inside working area. This will prevent the first row of planks from shifting during installation. As an alternative, the first row of planks can also be nailed into the wood subfloor or sprig nailed into the concrete subfloor. To ensure that adhesive is spread properly, hold the work trowel at a 45 degree angle. Only apply adhesive to surfaces that can be reasonably laid in 2 hours, since adhesive may dry up and thus will not stick properly. Room temperature and relative humidity variations may slow down or speed up the drying time. Note: refer to recommendations by adhesive manufacturer for information about proper trowels, spread rates, drying time and application specifications. Spread adhesive to width of 2 planks and install the first board along the guideline, moving from left to right, groove side facing the wall. Having installed the first three rows of hardwood strips, correct board alignment and regulate the width of the expansion gap if necessary. Once you are sure that the starter rows are straight, spread adhesive 2-3 feet wide. Proceed installing all subsequent rows and pressing installed planks into the adhesive. Always alternate the lengths of boards so that transverse seams are positioned in a random manner, but no less than 15” apart. This will help avoid repetitive pattern effect. The last board in every row will need to be cut; use the remainder as the first board in the next row. Leave at least 2” for the last board of each row. When installing the last row, cut the board in the way that allows an expansion gap of at least 1/2”. Install baseboards along the perimeter of the room. Nail baseboards to the wall, but not to the floor. After installation is finished, thoroughly vacuum the floor and clean it with COSWICK hardwood floor cleaner. Restrict heavy foot traffic and wait 24 hours before moving furniture into the room. Place felt pads under all furniture legs. Make sure to set aside a few flooring planks for future repairs. Prior to installing, nail down a holding block alongside starting line inside working area. This will prevent the first row of planks from shifting during installation. Install the first board along the guideline, moving from left to right, groove side facing the wall. The first row has to be hand-nailed. Nail the board from the top as close to the wall as possible (so that nail heads would be covered by the baseboard later). Put nails every 8” to 10”, leaving 2” – 3” from board ends. Make sure there are at least 2 nails in every board, even in short ones. 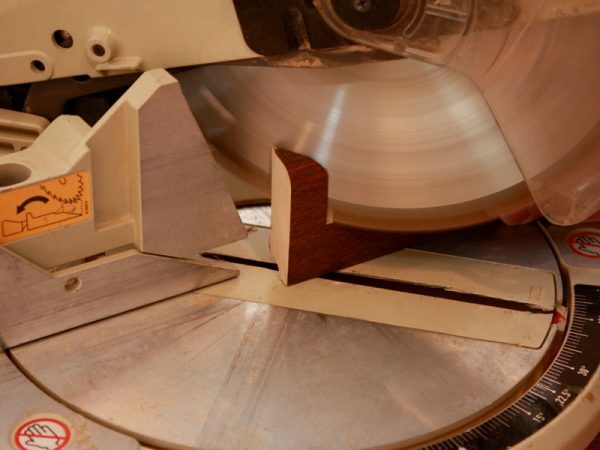 Note: Precise milling may require use of a tapping block for better tongue and groove fit. Never strike a rubber mallet or hammer directly on the flooring to fit the planks, as this can damage the flooring. Because you cannot use your nailer close to the wall, the first and the last couple of rows will have to be installed using hand-nailing. Start the second row with a board which is at least 6” shorter or longer than adjacent ones. Nail down subsequent rows using the nailer and rubber mallet. Nail every 8”-10”, leaving 2”-3” at the ends of every board. Every floor board has to have at least 2 nails in it. The last board in every row will need to be cut; use the remainder as the first board in the next row. Leave at least 2” for the last board of each row. When installing the last row, cut the board in the way that allows an expansion gap of 1/2”. Place felt pads under all furniture legs. Attention: Coswick does not recommend installation of engineered flooring manufactured from exotic wood species (Jatoba, Cumaru, Santos Mahogany, American Walnut) over radiant heat floor systems. Installation of Coswick flooring from the above mentioned species over radiant heat floor systems voids the Finish Warranty.